The digital edition of Ares & Aphrodite wraps up this Tuesday. You can get that and previous chapters from Comixology. Needless to say, this gallery previewing that sixth installment has spoilers. If you've not been reading, scroll through at your own peril. I was surprised with a first-look advance copy of the actual printed comic this week. It came out gorgeous! Hilary Thompson at Oni Press really did a marvelous job bringing it together. 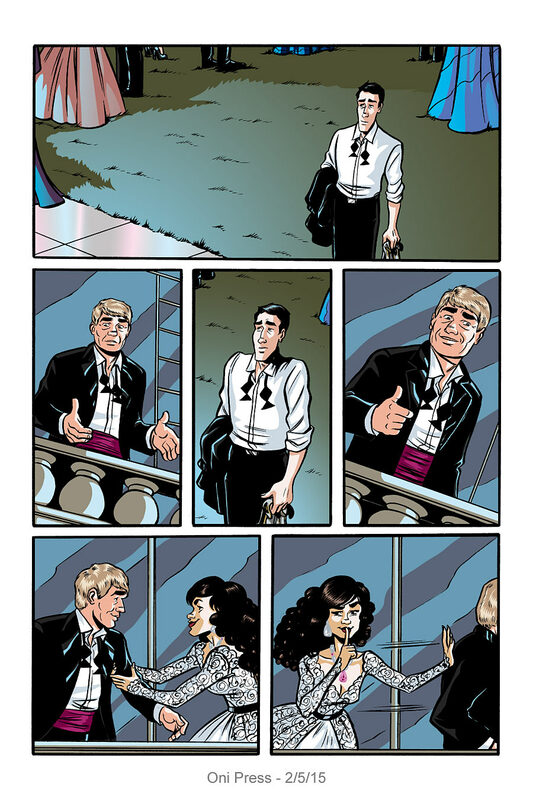 And I think Megan's colors look even better on paper. And remember, when this bad boy comes out in April, it has a bonus story, process material, and an afterword not available in the serialization.